PARKING: Parking is free in the Arroyo/Windsor parking lot but limited and you may have to park in the residential areas. HIKE WALKTHROUGH: From the parking area we walk a few hundred feet to a gate where we will walk along a paved road into the Arroyo Seco area for about the first mile and a half. Then we come to the trail head and start our 2.50 mile ascent to Brown Mountain Saddle which is our halfway point where we will take a break and enjoy the beautiful views of the San Gabriel Valley. We will then head down towards El Prieto canyon which is mostly shaded by trees and then narrows to a singletrack which is an easy to moderate trail with short inclines and descents. There are some stream crossings but no more than a foot deep however you may get your shoes wet. We make our way to the picnic benches and take another short break and complete a full loop where we started the ascent up Brown Mountain. REQUIRED: 2 to 3 Liters of water, a hat, sunscreen/chapstick. RECOMMENDED: sports/hiking shoes that you don’t mind getting wet when crossing small/short streams (when water is present), a good sized snack, or snacks. 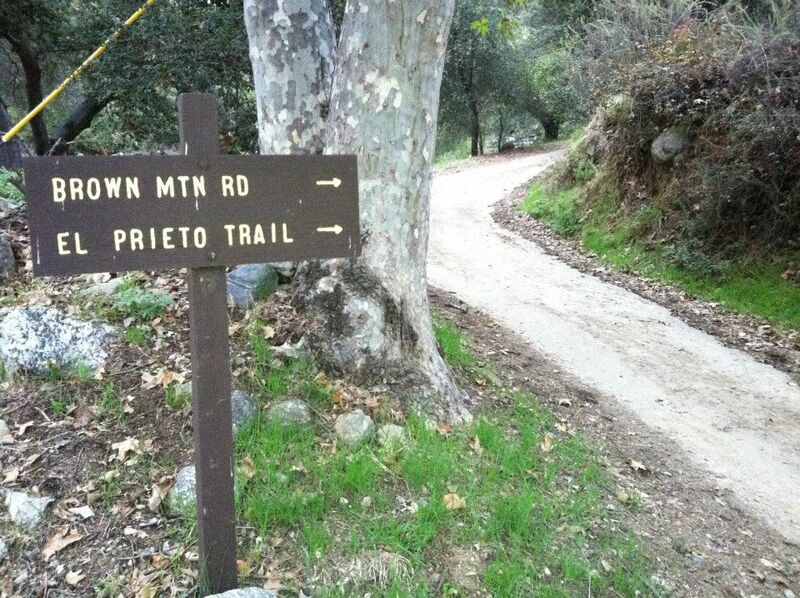 Wearing layers is highly recommended as the trail up to Brown Mountain is mostly exposed and may get warm, however, the El Prieto Canyon trail, because it is mostly shaded, may be cool. DOG FRIENDLY? 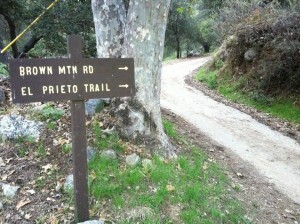 : Friendly (all dogs must be on leash) and must have previous hiking experience. Should be friendly with other dogs.